Pell Grants are grants that a student may use to pay for college. They allow students with low income to get "free" money from the government. Unlike student loans, Pell Grants do not get paid back, allowing students to focus on learning instead of earning. 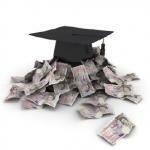 Who Is Eligible for a Federal Pell Grant? Not be in a state or federal prison or are subject to involuntary civil commitment after a prison sentence as a result of a forcible or non-forcible sexual offense. The student's expected family contribution (EFC), as determined by the student's completed Free Application for Federal Student Aid. To determine how much financial aid a student is eligible for, the formula is simple. Subtract the EFC from the COA. For example, if a semester of college is $3,000 and the EFC is $1,000, then a student would be eligible for up to $2,000 of financial aid. How much of that is a grant and how much is available as a student loan depends on the income of the student (or student's parents). The Department of Education provides a tool, the FAFSA4caster, which functions as a financial aid calculator, letting students know what types of financial aid the students can qualify for. There are a few key points that students need to remember when they apply for Pell Grants. Pell Grants are not loans; they do not need to be repaid. Federal Pell Grant awards go directly to the school, not to the student. The school will decide if the money is first used to pay outstanding tuition, fees, and bookstore loans and then refund the difference to the student. Students who received Pell Grants receive grant funds once per semester, up to 12 semesters. The maximum amount a student may receive through a Pell Grant may change from year to year. 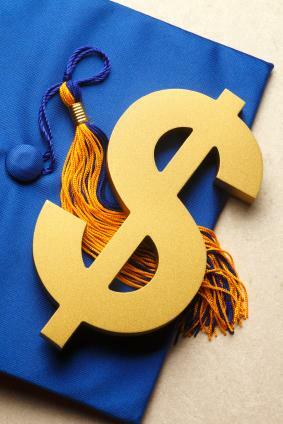 For the 2012 to 2013 school year, the maximum award is $5,550. The maximum award amount goes to students who have a parent or guardian who has died because of serving in the Armed Services in Iraq or Afghanistan after September 11, 2001. In order to qualify to receive this maximum award opportunity, students need to be less than 24 years old or must be enrolled at least part-time in college at the time of their parent or guardian's death. A PIN, which they apply for through the application and receive via email. Most recent tax returns (or their parents' tax return, if they are still being claimed as dependents). School's application code; however, the school codes can be found in the FAFSA online form. After filing an application, students will need to wait several weeks to receive information about the amount of money they are awarded by the Pell Grant. This information generally comes directly from the school's financial aid office. At that time, the school will also inform students about how and when they will receive the funds. Students should be careful and be sure to use the official Department of Education FAFSA form. The form is free to fill out. Other websites exist that offer assistance to students in filling out the form, but charge a fee. Students do not need to pay to fill out the form; they can go directly through the Department of Education and get help from the Department of Education for any questions that arise.